Deek's Rhewminations: Teri Polen Guest Post - Does Anyone Still Read Horror? Teri Polen Guest Post - Does Anyone Still Read Horror? 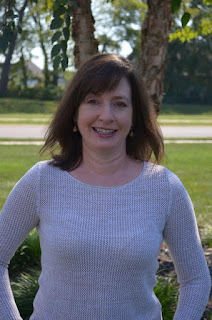 I'm fortunate to have author, Teri Polen grace my blog today. 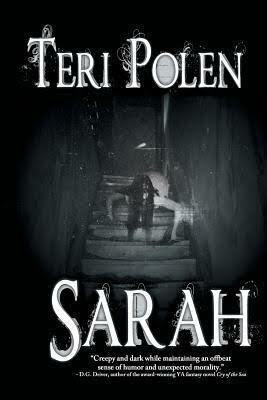 She's a YA horror author from Bowling Green, KY, who's just released her debut novel, Sarah. This is the question I was asked a few years ago. At my response, the look on the person’s face was one of, well, horror. It may even have been intermingled with a touch of pity, because no one reads horror. Everyone knows that. Or do they? If you haven’t heard of Stephen King, I’d have to question where you’ve lived for the past few decades – a life of solitude on top of a mountain? A different planet? book in the third grade. Nightmares are among my favorites, with a movie in the works for Anna Dressed in Blood. include independent publishers and found them to be more receptive to the horror genre. second book with Black Rose, a YA sci-fi/fantasy. demand exists – you just have to find your people. A bet between friends goes horribly wrong, resulting in Sarah's death. When she returns to seek justice against those responsible, Cain agrees to help her. But when he discovers Sarah has been hijacking his body, he realizes she wants retribution instead of justice. Terrified of what could have happened when he wasn't in control, Cain commands Sarah to leave his house - but exorcising her isn't that easy. She retaliates against her murderers in bloody, horrific ways, each death making her stronger, then sets her sights on Cain. With the help of friends, Cain fights to save himself and his loved ones and searches for a way to stop Sarah before she kills again. Teri Polen reads and watches horror, sci-fi, and fantasy. The Walking Dead, Harry Potter, and anything Marvel-related are likely to cause fangirl delirium. She lives in Bowling Green, KY with her husband, sons, and black cat. Sarah, a YA horror/thriller, is her first novel. Thanks so much for having me today, Deek! My pleasure, Teri! Thanks for joining us today and good luck with Sarah! Wishing you continued success with Sarah. Mega hugs! Not the serious readers, anyway - thanks, Teagan! You know me so well, John. You're good for my ego, Mae! It's true about being persistent and finding your audience - sometimes it takes a while, but it's worth it in the end.